Today’s higher education catering service is about much more than just the food that’s on offer, and being in tune with the needs of your students is the key to offering a slick service that exceeds their expectations and maximises sales opportunities. We already know that good food, great service and welcoming catering environments promote a sense of inclusion and community on campus, and now from the recently published Hospitable Campus study by TUCO, it has become clear that hospitality plays a major role in the student experience and can have a significant influence on their wellbeing. In 2018 TUCO also published the Student Eating & Drinking Habits Report, which identified that pricing, promotions, discounts and loyalty are some of the key factors that would influence students to eat in campus establishments more often. Investing more time and effort in these areas should encourage repeat and regular spending on campus, which is why all of these features are built into our solutions. You might wonder where a payment system fits into all of this and how much difference it can really make. The answer is that it can provide the knowledge you need to learn more about your students by providing vital data about their daily habits and preferences, whilst also enabling you to personalise their experience of the catering service. For example, a loyalty scheme that is clever enough to observe what your students like to eat and drink, makes re-ordering those items easy, and then tailors special offers and rewards around those preferences should generate increased customer satisfaction, as well as providing the vehicle for delivering your offers and promotions in a personalised way. 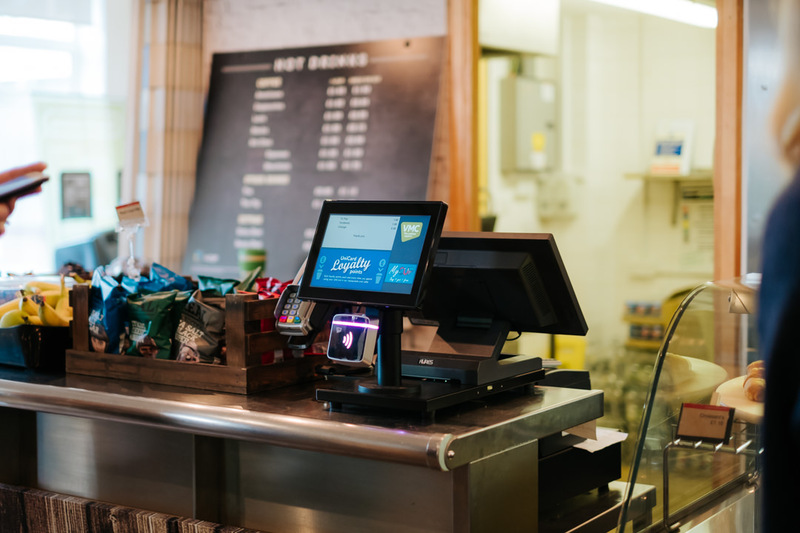 A payment system can provide the knowledge you need to learn more about your students by providing vital data about their daily habits and preferences, whilst also enabling you to personalise their experience of the catering service. Choosing a flexible system that accepts all types of payment is also important to make a noticeable difference to the student experience and to futureproof your investment. 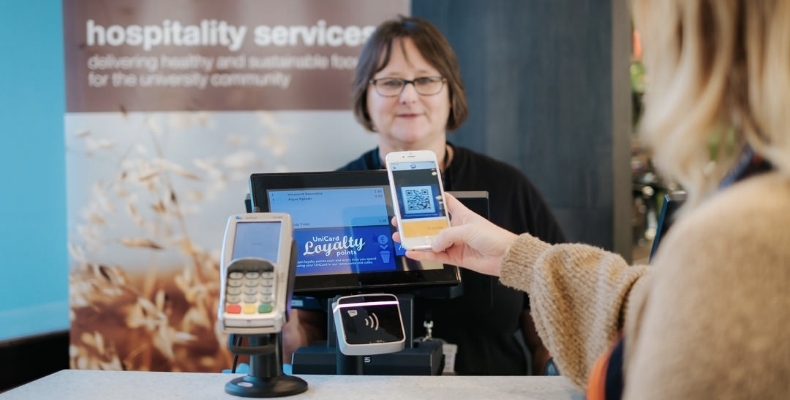 The VMC Flex payment solution accepts contactless, mobile and Uni Card, with the option to integrate other non-catering payments on campus. 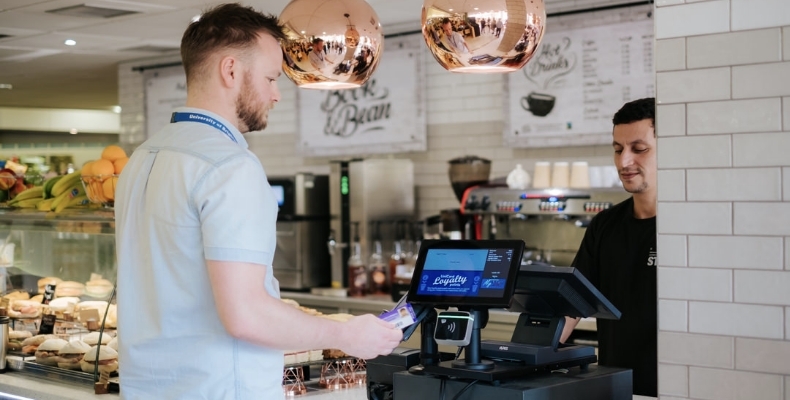 The system delivers fast transactions and 24/7 online account access, alongside a feature-packed app that has virtual loyalty, click and collect, and meal deal options. A great example of how our technology can make a positive difference to student engagement is our recent project with the University of Brighton. 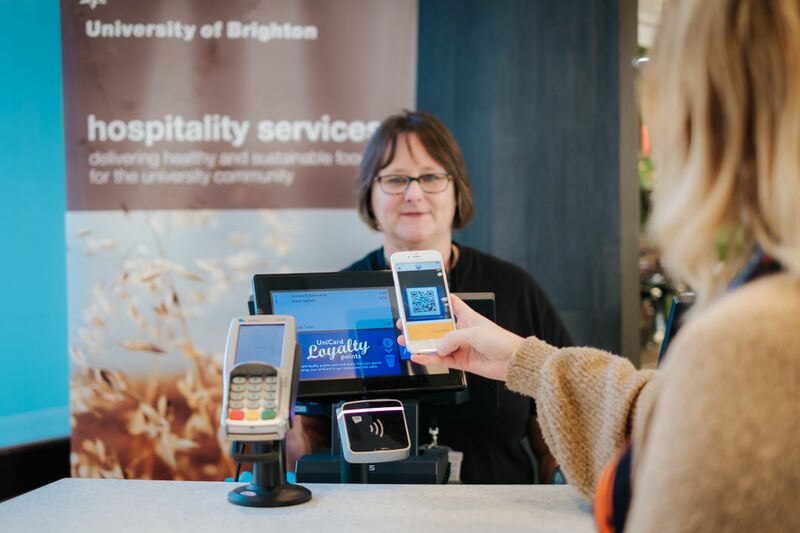 VMC have worked with the team at Brighton for many years, providing their cashless system on campus, and recently completed a major upgrade to the cashless, along with a full replacement of the EPoS system. There has been great investment on campus in refurbishing and re-branding many of their outlets to enhance the customer experience, and the installation of the VMC Flex system added the finishing touch to these plans. The university wanted to create a one-account solution that could be easily managed online 24/7 by students, and that allowed them to integrate more services into the student account to encourage increased spending via this method. 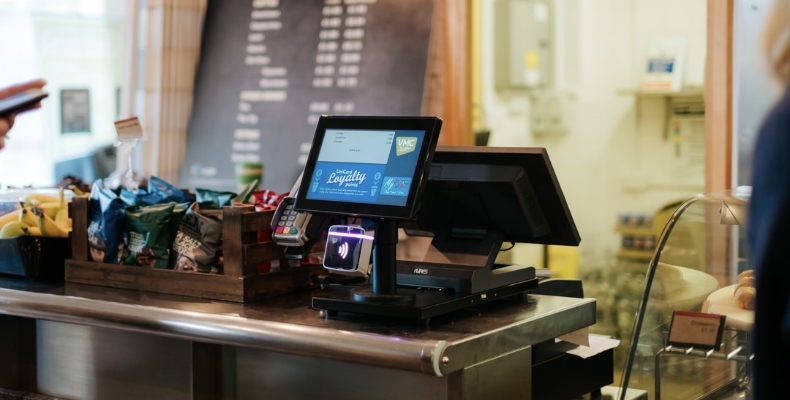 The VMC system also provided additional benefits in the form of immediate new card activation, real-time reporting, a mobile app and a web-based management portal to simplify the management of staff, stock and service. Are universities too big to fail? How is the design of university catering facilities changing? Ensuring that the next generation of graduates are fully equipped to thrive in a constantly evolving world starts with a promise. JUMP, a new programme that raises awareness around environmental challenges, has been launched at the University of Reading’s Green Festival. Glion Institute of Higher Education, a world-leading hospitality management institution, has announced its new portfolio of master’s degrees available across campuses in the UK and Switzerland.